Upstate Mobile Notaries, LLC provides reliable, professional, convenient and friendly services. We are a Mobile Notary Services in the Greenville, Anderson, Pickens, Laurens, & Spartanburg Counties. 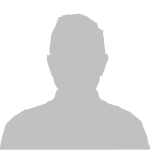 We conduct Loan Modifications, , Auto Title Transfer (interstate), Real Estate Transactions, Refinancings, Reverse Mortgages, Seattlement Fundings, Wedding Offications, Wills, Trusts, Affidavits, Oaths, ect... These services are mobile to our customers as we will travel to your residence, business, hospitals, jails, nursing homes, or any public location of your need. 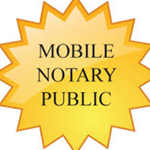 We provide mobile notary services to Greenville, Pickens, Laurens, Spartanburg & Anderson Counties. We conduct the oversight, notarizations and or witnessing of legal binding documents. We officiate wedding ceremonies and courier, fax, scan, and email documents when needed. Local general notarizations of documents are $5.00 per notarizations + a automatic $25.00 convenience fee. Travel over 20 miles round trip is an additional .575/mile. With the exception of wedding officiations which are based on type of ceremony, size, distance, and other factors. Please call or email for pricing. We accept cash or credit/debit card.